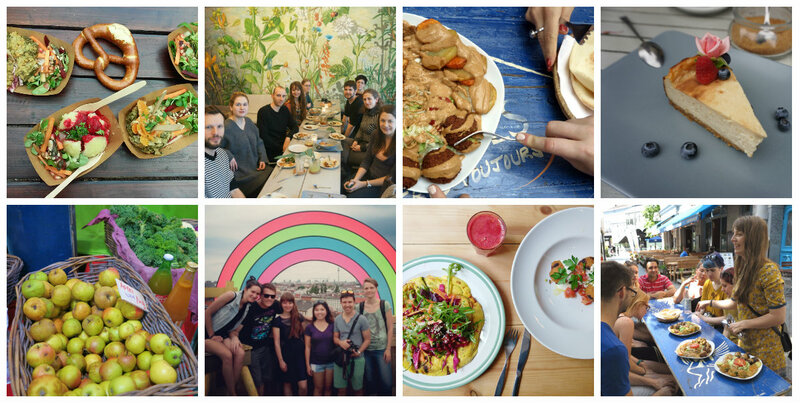 combines vegan culinary tours with an exciting city exploration. You can taste the best dishes in the best veggie restaurants in the city, discover new corners in Berlin, learn somehing about Berlin’s history and alternative culture and listen to funny anecdotes. We also visit inspiring green projects together, such as urban farming gardens, farmers markets and other sustainable initiatives. And in the end, the tour is fun. Because healthy food that you share with a group of like-minded people tastes better! I had a fantastic time exploring Kreuzberg with Maja. It was great to learn more about the area in terms of its social and political past and present, and of course the vegan scene too! Absolutely recommend a vegan tour to all vegans, veggies and vi-curious people visiting the city!